White or almost white, fine powder. Dissolve 2.0 g in 30 ml of hydrochloric acid. Boil the solution and filter. Wash the residue with hot water. The residue weighs a maximum of 10 mg. Maximum 5.0 per cent of CaCO3. Maximum 4.0 per cent calculated as sulphates. To 1.500 g in a mortar, add 20-30 ml of water R and 0.5 ml of phenolphthalein solution. Titrate with 1 M hydrochloric acid by triturating the substance until the red colour disappears. The final solution is used in the tests for carbonates. 1 ml of 1 M hydrochloric acid is equivalent to 37.05 mg of Ca(OH)2. 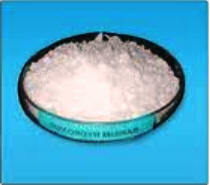 Limit of acid-insoluble substances— Dissolve 2.0 g in 30 mL of 4 N hydrochloric acid, and heat to boiling. Filter the mixture, wash the residue with hot water, and ignite: the weight of the residue does not exceed 10 mg (0.5%). Carbonate— Mix 2 g with 50 mL of water: the addition of an excess of 3 N hydrochloric acid to the mixture does not cause more than a slight effervescence. Heavy metals— Dissolve 2.0 g in 20 mL of 3 N hydrochloric acid, and evaporate on a steam bath to dryness. Dissolve the residue in 20 mL of water, and filter. Dilute the filtrate with water to 40 mL, and to 20 mL of the resulting solution add 1 mL of 0.1 N hydrochloric acid, then add water to make 25 mL: the limit is 20 6g per g.
Limit of magnesium and alkali salts— Dissolve 0.50 g in a mixture of 30 mL of water and 10 mL of 3 N hydrochloric acid, and proceed as directed in the test for Magnesium and alkali salts under Calcium Carbonate, beginning with “heat the solution, and boil for 1 minute.” The weight of the residue does not exceed 12 mg (4.8%). Assay— Transfer about 1.5 g of Calcium Hydroxide, accurately weighed, to a beaker, and gradually add 30 mL of 3 N hydrochloric acid. When the solution is dissolved, transfer it to a 500-mL volumetric flask, rinse the beaker thoroughly, adding the rinsing to the flask, dilute with water to volume, and mix. Pipette 50 mL of the solution into a suitable container, add 100 mL of water, 15 mL of 1 N sodium hydroxide, and 300 mg of hydroxy naphthol blue, and titrate with 0.05 M edentate disodium VS to a blue endpoint. Each mL of 0.05 M edetate disodium is equivalent to 3.705 mg of Ca(OH)2.